Reckless Driving can be charged for many different reasons. One of the most common forms is for a speed of greater than 20 MPH over the posted speed limit or any speed above 80 mph regardless of the speed limit. In addition this offense can be charged for a number of specific driving behaviors that create danger to persons or property and frequently is charged in accident cases. Reckless Driving is a class one misdemeanor punishable by up to one (1) year in jail, a $2500 fine and up to a six (6) month loss of the right to drive. In addition, conviction of this charge can often have insurance consequences, and in many cases involving high speed there is often a period of active incarceration involved as well as a loss of driving privileges. In cases where speed is a factor, it is important to determine the type of devise used to measure your speed. There are a number of devices that are used for this purpose. A Pace is the use of the Officers speedometer to determine speed. The law requires that a calibration be done on the Police Vehicle used for this purpose and there are very specific requirements for that procedure. The Officer may also determine your speed by use of Radar. Here it is important to determine if the machine used was properly calibrated. There are two specific calibrations needed to qualify the machine for use in Court. It is crucial to determine if these calibrations were properly performed in order for the machine reading to be used. A third way that the Officer may determine your speed is with Lidar. This is fairly new technology and again it is important to check to make sure that the equipment used was properly calibrated. In addition there is the need to make sure that the Officer used the machine properly in obtaining a clock on your vehicle. This must be determined through an interview with the Officer and possibly through conducting a trial and cross examination of the Officer. 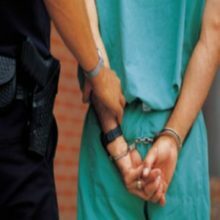 With other types of General Reckless Driving the specific acts alleged will require a consultation with a qualified attorney to determine if you have any defenses to the charge, which may require a check of the recent case law on the particular issue or the use of other available research tools. It is important to consult with the firm to determine the specific facts of your case and any possible defenses that are available.